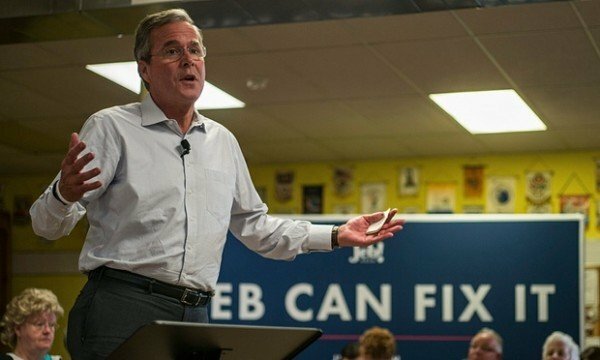 Republican presidential hopeful Jeb Bush has apologized to France for referencing their working week to insult rival Marco Rubio. Jeb Bush said he had done a “disservice to the French” by using them to mock Marco Rubio’s senate voting record. “I made the mistake of saying that the Congress operates on a French work week,” he was reported as saying. Jeb Bush said he had since learned that the French work longer hours than the Germans do. “So, my God, I totally insulted an entire country – our first ally – that helped us become free as a nation!” Jeb Bush said, according to Time magazine. The former Florida governor made the original comments during a Republican presidential debate last week. Jeb Bush asked Marco Rubio whether the Senate ran on French time and if lawmakers only had to show up for three days weekly. His campaign spokesman Tim Miller said he had been inundated with emails from French journalists following the debate. Even Gerard Araud, the French ambassador, responded on Twitter to correct Jeb Bush. The French officially work a 35-hour week though many employees put in far longer hours. Jeb Bush and Marco Rubio are trailing behind Donald Trump and Ben Carson in the race for the Republican presidential nomination.